Carteret RV is proud to add Viking RV by Coachmen to our featured products! 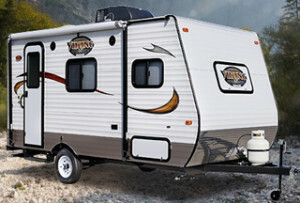 Viking Travel Trailers offer a lightweight, comfortable and affordable option for our customers. Stop by Carteret RV today to take a look at our brand new 2015 Viking models, an excellent addition to the park models, destination trailers and travel trailers already available at the dealership. Take a look at all of the new 2015 inventory arriving daily! Carteret RV is located on the Crystal Coast of North Carolina near many popular destination cities and great local RV Parks. We feature Canterbury Park Models, Woodland Park Homes, Wildwood Travel and Destination Trailers by Forest River and now, Viking by Coachmen. Posted in Canterbury RV, Carteret RV, Coachmen, Destination Trailers, NC RV Dealership, Park Models, RV TIPS, Travel Trailers, Viking Travel Trailers, Wildwood, Woodland Park Homes | Tags: Carteret RV, NC destination trailers for sale, NC RV dealer, NC RV dealership, NC RVs for Sale, Wildwood Destination Trailers, wildwood NC dealer, Wildwood NC RV dealership, Wildwood RVs, Wildwood Travel Trailers | Comments Off on Introducing Viking RV to our Product Lineup! « Happy New year from #Carteret RV!